Infrequently days when the automobile world moves from the axis drop out. And today, the lady and gentlemen, one of such, after all the board of Veyron, the fastest serial car in the world, came to an end, and the successor entered on a throne. 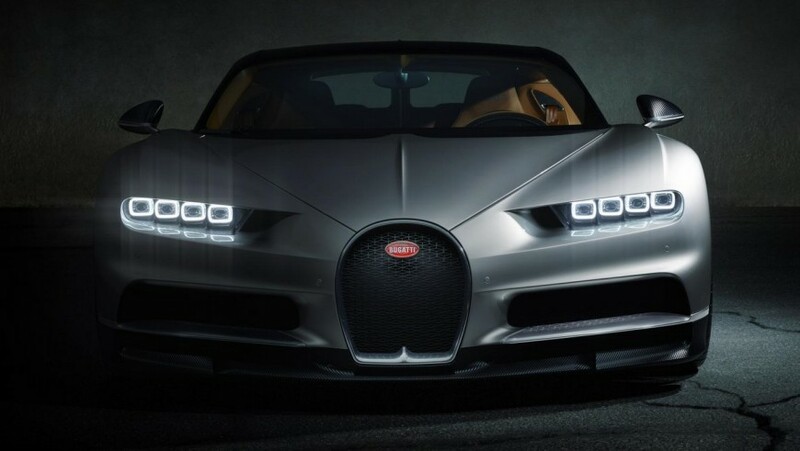 Yes, Chiron kept the main lines and elements of the Veyron engine, but absolutely new in all the rest. It is constructed to break laws of physics. And it not a hybrid. Unlike the main rivals – McLaren P1, LaFerrari and Porsche 918 – it uses only usual fuel. Its engine – the processed 8-liter W16 of a quad-turbo from Veyron, transmission – the strengthened 7-staged box with two couplings from there, and as well as on Veyron, it gives all power to four wheels. “If we went in the hybrid way, would receive excess weight. 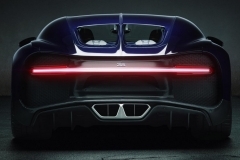 Besides, it should reconsider configuration – as in this car everything is packed very densely – and to change design” – Wolfgang Duercheimer, the head of Bugatti explains. “We considerably raised a bar of the maximum speed, increased power by 25%, improved aerodynamics and coupling with the road. We do not need a hybrid”. 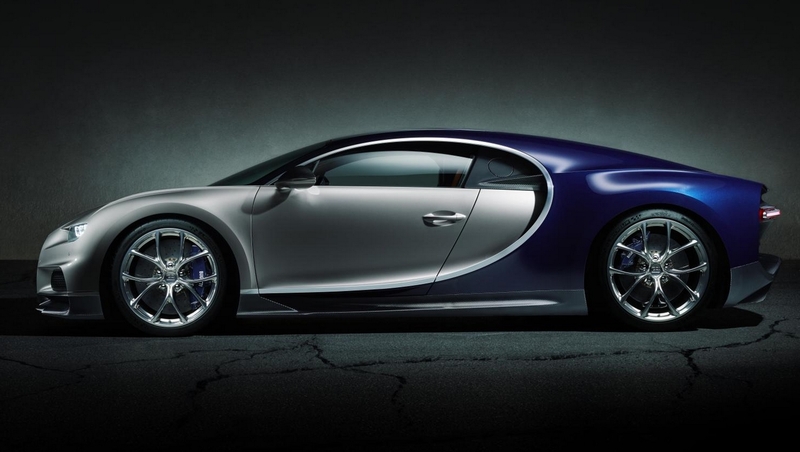 Whereas Veyron Super Sport gives out pathetic 1200 HP and 1500 Nanometers of the moment, Chiron presses 1500 h.p. and 1600 Nanometers. 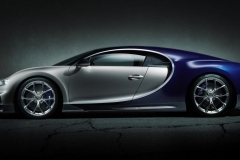 At a constant maximum speed ride of Veyron drinks a 100-liter tank in 12 minutes, and Chiron consults for 9. It is obvious that business here in serious figures, therefore here to you some more. From 0 to 100 km/h the car accelerates in 2,5 seconds with, to 200 – in 6,5, and to 300 km/h in 13,6. Relax, exhale and realize the last figure – it on 2,9 seconds quicker than P1 and a second faster than Veyron Super Sport. Thus keep in mind that at this speed it needs much more fresh air – namely 83 m if to be exact. 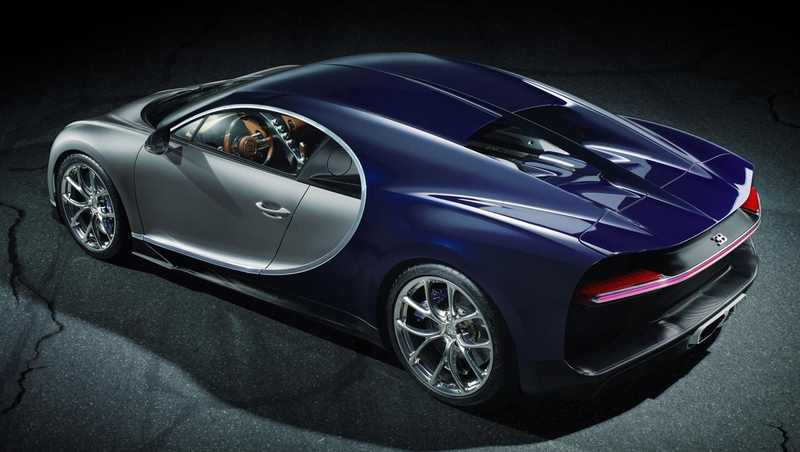 Maximum speed of Bugatti Chiron was limited on 420 km/h, is 5 km/h more, than at Veyron Super Sport. Specially developed wide Michelin will sustain more, tells Bugatti, and will be used for record attempt in which Chiron will squeeze out about 435 km/h. The limiter is necessary as “a security measure for road travel”. Folks from Euro NCAP will be delighted. The key to reserves of engine capacity is covered in four big turbines which work in a tandem to deliver a moment maximum with 2000 to 6000 rpm – it is 70% of working range of the motor. The two-level system to 3800 rpm uses only two turbines for improvement of a response to gas, and all four beyond this limit. At a new titanic exhaust two huge converters – every time in six is more, than on Mondeo – and the return pressure reduced in comparison with Veyron. In total exhaust pipes six – four stick out behind and two are directed down, forming the blown diffuser. It considerably increases clamping force and, by the way, is forbidden in F-1. 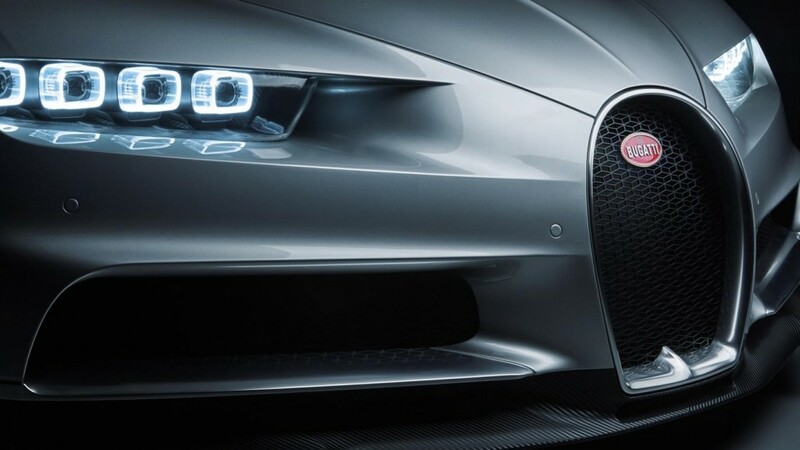 Everything, as for the Chiron engine, is increased in sizes. Completion of system of air cooling means that in a minute through the engine passes 60 000 liters of air whereas the pomp pumps over 800 l of liquid for the same time. The head of engineering department, Willie Netushil, says that “management of temperature – one of the main problems”. Therefore, pushed 10 radiators into Chiron. The power is higher, the brakes therefore lobbies and back disks are 20 mm more, 2 mm thicker now are necessary more strongly and are made from carbon fabrics ceramics: material and lung and resistant to an overheat. Squeeze their 8-piston supports in front and 6-piston behind – all pistons slightly differ in the diameter to reduce wear of brakes. As a skeleton for the fastest wheelbarrow in the world of Bugatti the new carbonic monocoque (on everyone leaves for four weeks) with a back stretcher from carbon fabrics which save 8 kg of weight uses and increases rigidity, and all this is wrapped in carbonic skin. 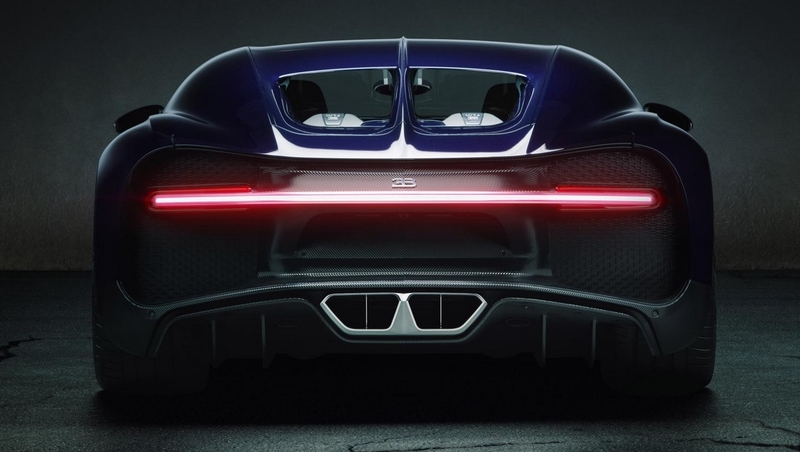 Bugatti assures that rigidity on torsion at Chiron at the level of LMP1 prototypes, and new electronic steering and the suspension brackets fastened directly to the monocoque mean that will quicker turn the 1995-kilogram car, than it in general is possible. That, on what Chiron is capable, depends only on you. It has five modes, and it is not about habitual “Sport” and “Comfort”. Same Bugatti! Choose from “Rise”, “Car”, “Autobahn”, “Controllability” and “The maximum speed”, each of which offers unique settings of a road gleam, shock-absorbers, a wheel, distribution of the moment of the full drive, active aerodynamics and system of stabilization. “Car” – is the mode by default in which the huge brain of “Chiron” chooses settings for the discretion. “Rise” is designed for “lying police officers” or transportation on a trailer, and is available at a speed up to 50 km/h. Disperse to 180 km/h, and the Autobahn mode is activated automatically, softening a suspension bracket for the comfortable and stable movement at a high speed. You are rather courageous? The Controllability mode is useful when gather for a track. All of them join by means of rotation of the switch on a wheel, and the maximum speed is limited on 380 km/h. If to you has the luck to get on the Salt Lake to have fun in the Maximum Speed mode – the second key, as well as on Veyron is required. The car nestles on the earth, and the four-position back spoiler moves forward most highly. Now you can disperse to 420 km/h. In such super difficult car, technologies have to be above style, and the chief designer of Bugatti Akhim Anshaydt honestly admits: “From what party do not look – behind, sideways or in front – need for the best dynamics, cooling and bigger power defined shape of the car”. 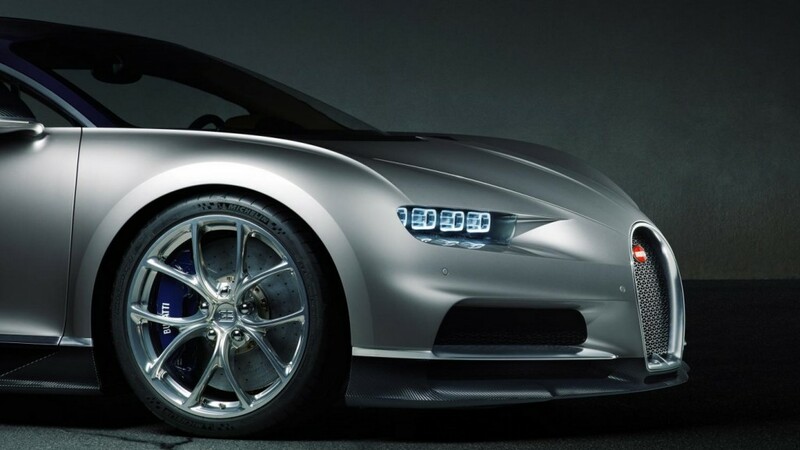 This quartet of LED headlights, for example, for the first time appeared on Gran Turismo concept, also as the air inlets directing air to forward brakes. 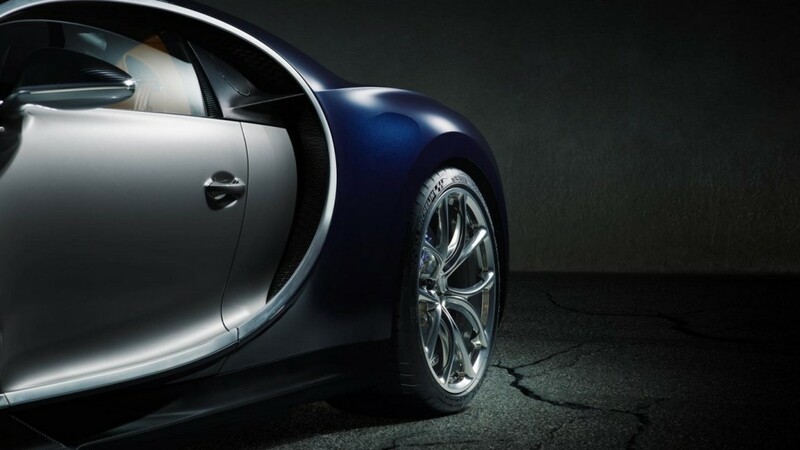 The wide bend (made of an integral piece of carbon fabrics) which defines a car profile – “The Line of Bugatti” – is one more air inlet feeding with air and cooling the 16-cylinder motor. The back part is made so that to reduce front resistance and to create the soaking-up effect, using hot air from the engine. It is simply gaping abyss divided by a 1,6-meter strip of light-emitting diodes of stop fires, a backing and dimensions. Perhaps, the only decorative detail it is possible to call the central fin, sending to Bugatti Type 57SC Atlantic. Too conservatively? 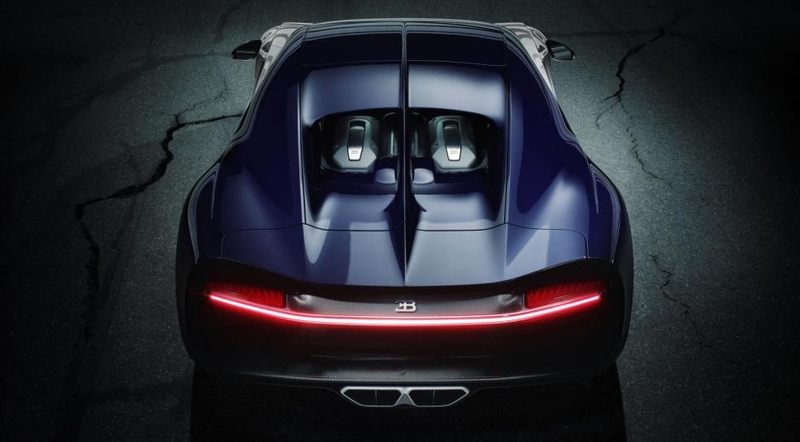 Think: while mass producers tear each other drinks in fight for clients, trying to keep up with the growing sales forecasts, in Bugatti strong hold that they have. “I here to change everything and to change our client?” – Anshaydt reflects. “No, I do this project in order that our client base proceeded and in the next generation”. Though the wheel base in comparison with Veyron increased by only 1 mm, Chiron is 14 mm wider and 6 mm longer – insignificant changes for you or me, but huge for the designer. The main advantage here in additional 12 mm over the head that will allow to go in a helmet, without being afraid of a neck jamming. Other part of an interior – exercise in the minimum derivation of attention of the driver. The analog speedometer (marked to 310 miles/h or magic figure in 500 km/h) is surrounded with digital displays to which various information is output. The speed is higher, the less it remains on screens, allowing to concentrate on holding the car on the road. On the narrow central console that has something in common with “the Line of Bugatti”, the lever of a box and four dials of climate control is located, each of which is trimmed as if a jewel. The real stones, by the way, are in loudspeakers – a one-karat membrane in each of four twitters (a place for a joke about a crystal-clear sound), and a new volume emblem on a cover of the engine or Macaron of a logo are made of pure silver and enamel. It does not mean that it is worth selling quicker Bentley Bentayga, but the shred of a practicality is here. The cooled glove box will keep champagne in cold, bags and jackets can be put for forward seats, and the suitcase for the weekend will be located in a luggage carrier in front. 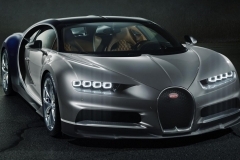 All this brings us to those who will buy Bugatti Chiron – eventually, 120 (and it in two years prior to emergence of ready cars) from limited party in 500 cars are sold already out. Dyurkhaymer describes them as “unusual people” and “non-standard autoenthusiasts”. On average in their possession “64 cars, 3 planes, 3 helicopters, the yacht, and in a year they pass about 2 500 km”. Multimillionaires that €2,4 million will spend without having blinked, and then will add some hundreds of thousands on an option. 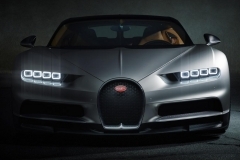 Dyurkhaymer frankly admits: Chiron did not to amuse the vanity, it has to make profit. It is certain top of all line of VAG, but at the same time the car “has to have positive impact on results of concern”. Of course, Chiron nearly fell as a victim of diesel scandal. Dyurkhaymer fought very much: “It was necessary to work much. It was hard to convince. When it occurred, I departed on plant to France, brought together children and told them the version. I said that it is not necessary to worry, I will take care of everything. Simply concentrate on making the best car, do not raise a foot from gas”. And the rest – already history. 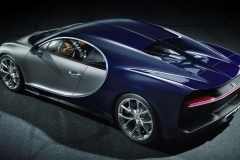 Whereas Veyron Super Sport gives out pathetic 1200 HP and 1500 Nanometers of the moment, Chiron offers 1500 h.p. and 1600 Nanometers. 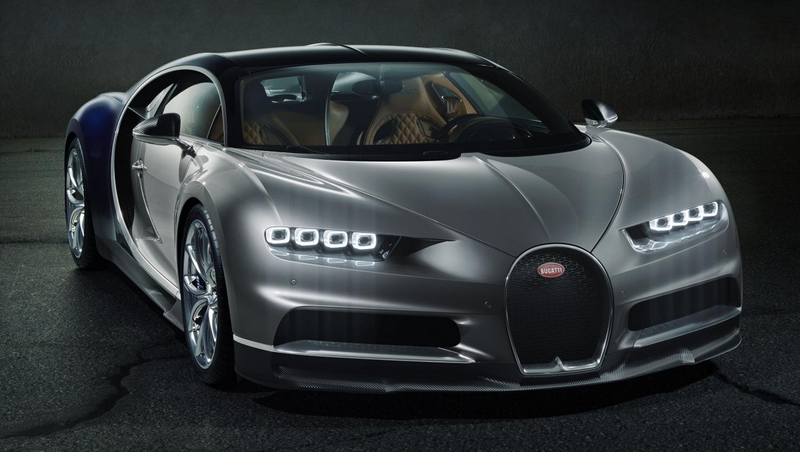 At a constant max speed Veyron drinks a 100-liter tank in 12 minutes, and Chiron only takes 9.